There are so many different types of sketch pads for you to choose from. From your everyday average looking paper, to the roughest grain, and even recycled paper books for all you go green-ers. Here is a break down of how to choose which is the right sketch pad for you! Sketch pads come in all different sizes, so naturally, one thing to consider is: where will you be drawing? If you’re drawing at home, your options are limitless. However, if you’re one of those people who get inspired while you’re out in the world and like to get right down to it in the moment, it would probably be best and much easier to carry a smaller book. I don’t think anyone wants to carry around a sketch pad the size of a TV everywhere they go. Luckily, most sketch pads are self explanatory. They usually say right on the cover what the paper inside is best suited for. Whether it be drawing, sketching, tracing, watercolor, etc. Some pads are also thicker than others. So, think about it. Do you need 500 pages or will 100 pages suffice? If you’re “ballin’ on a budget” (starving artists don’t have much to spend), stick with the 100 pages as it’ll still get you from one paycheck to the next. 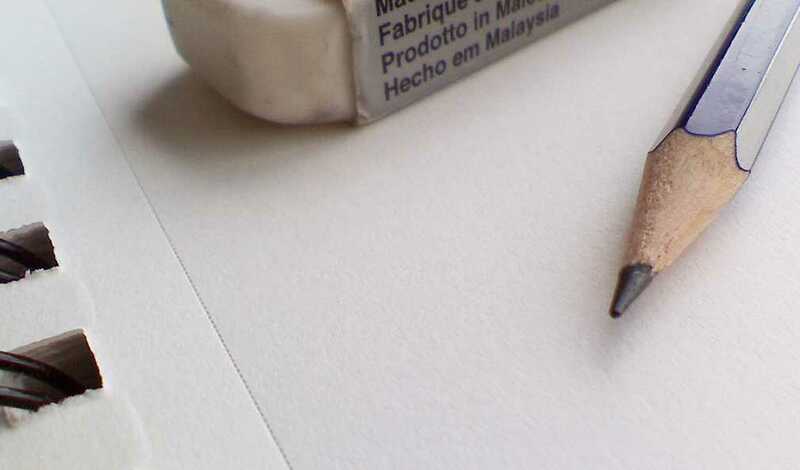 If your drawings are on the realistic side, you’ll want to get the whitest paper you can find. Some of the sketch pads I’ve seen have a bit of a tint to their paper, which isn’t the best for giving off a natural highlight in your art. You’ll also want it to be real sturdy (thicker) so it can handle repeated erasing. That brings me to another tip, I would also recommend buying a kneaded eraser. I’d be lost without mine as it picks up almost anything and lasts forever. There’s nothing worse than using one of those erasers that smudge the life out of what you’re trying to actually erase. If you’re using a book entirely for sketching, I’d personally go with a normal notebook-sized sketchbook with a rough paper texture. Charcoal pencils and pastels work best for sketching because they’re a looser medium and the rough grains in the paper will grab the pigment better than a smoother piece of paper. Although realistically, you can use any kind of paper to sketch because as I said, it’s a more loose form of drawing with much less detail. For something like watercolors however, it’s best to use thicker paper so that the paper doesn’t become damp after two minutes. I really think the absolute best way to choose your book is to get out and browse! Check out different stores, their prices, read the covers and they’ll usually have a description of it’s best use. If you’re just starting out, start small. The smaller pads are usually cheaper and it’ll give you the opportunity to test your skills. Speaking from personal experience, I find the actual pads come apart real easy, so I strongly suggest a spiral notebook or binder. Are there any specific types, brands, or sizes of sketch pads that work particularly well for you? Let me know in the comments what you prefer! Header image based on “pencil and eraser on paper” by shawncampbell, CC-BY-2.0.